So… We needed good comfort foods the other day – and CK and I were on a mission. 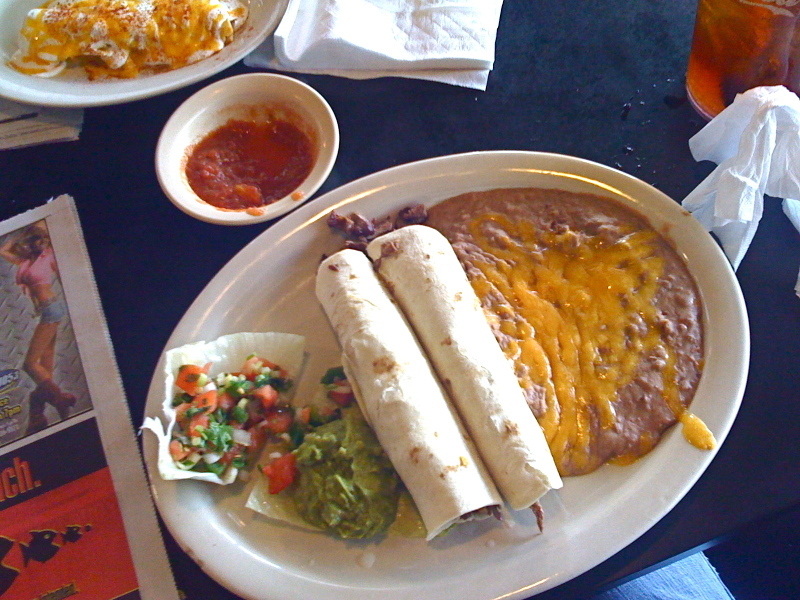 It was still pretty hot out so we decided to save our local burrito hideout, DJ's, for another time… (it's steamy in there …in January.) 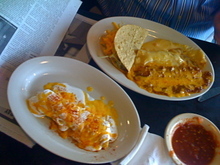 We drove west… to Belt Line and Josey – or thereabouts – and arrived at the Carrollton Herrera's. 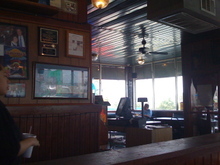 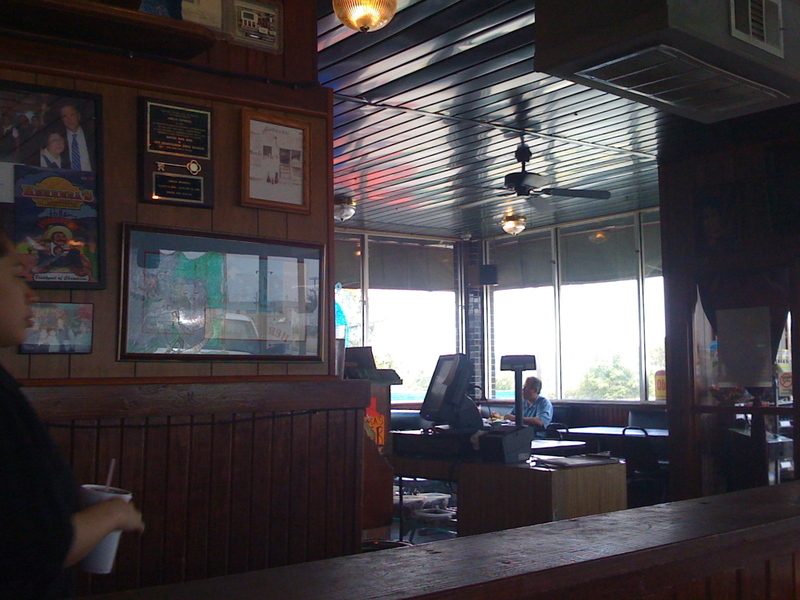 There have been a few locations of this establishment that have come and gone over the years… and I have enjoyed the charm of each, particularly the original which was across the street from the current Maple Ave. location. 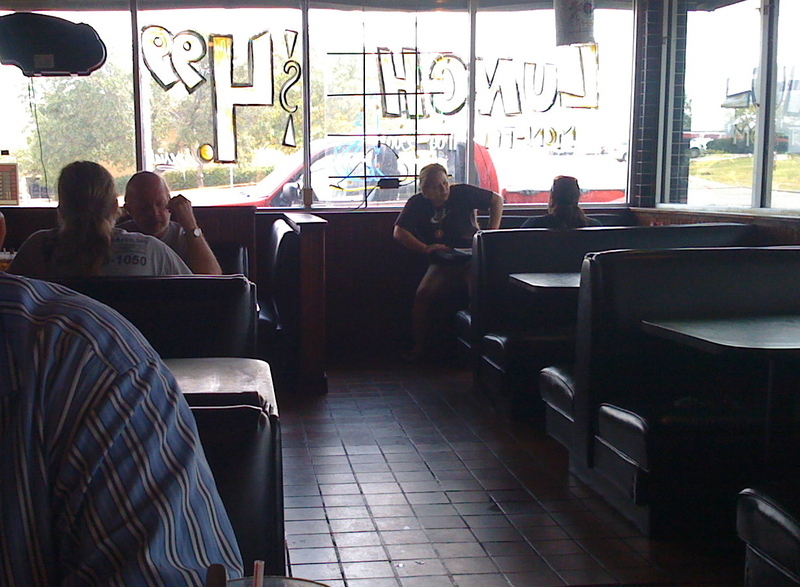 It was a little adobe shack with hardly any room for tables… Somebody took me there literally 25 years ago – cool. 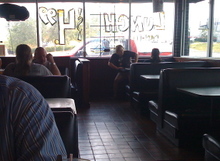 But, anyway, I never even knew this Carrollton one was out here, until now. 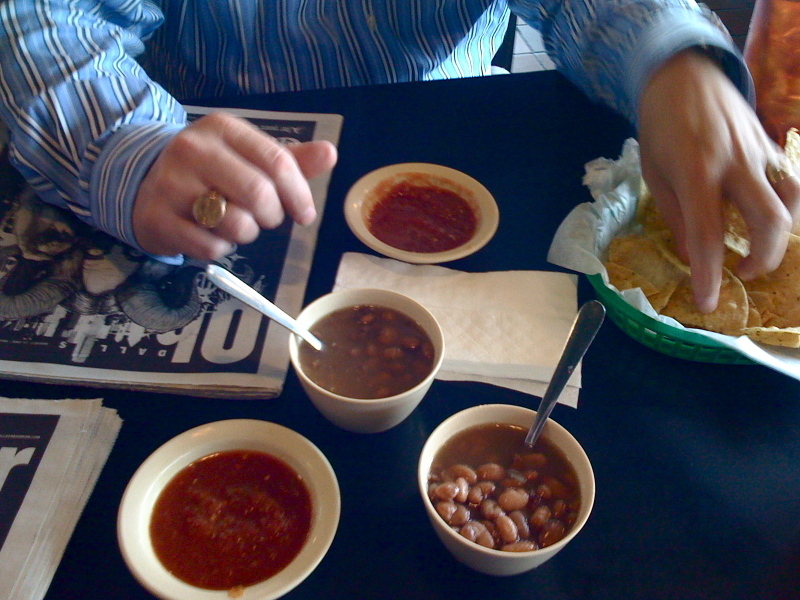 Above: The delicious and spicy bean soup; and one of the satisfying Lunch Specials. 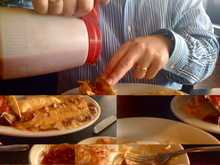 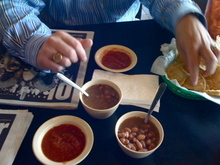 CK needs more hot sauce (He will pay for this later… ); and the Tacos al Carbon – I enjoyed these. 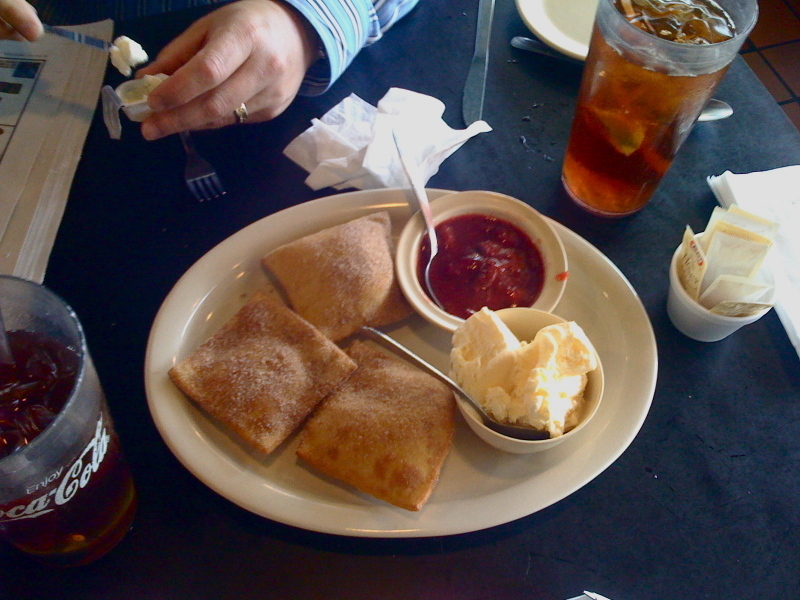 …and the sopapillas… time for a nap! Just reminds you to run out and have a yummy, lard-laced, dodgy-decadent meal once in a while… sooo sating, and resets the clock for the next coquette draped in dining finery.